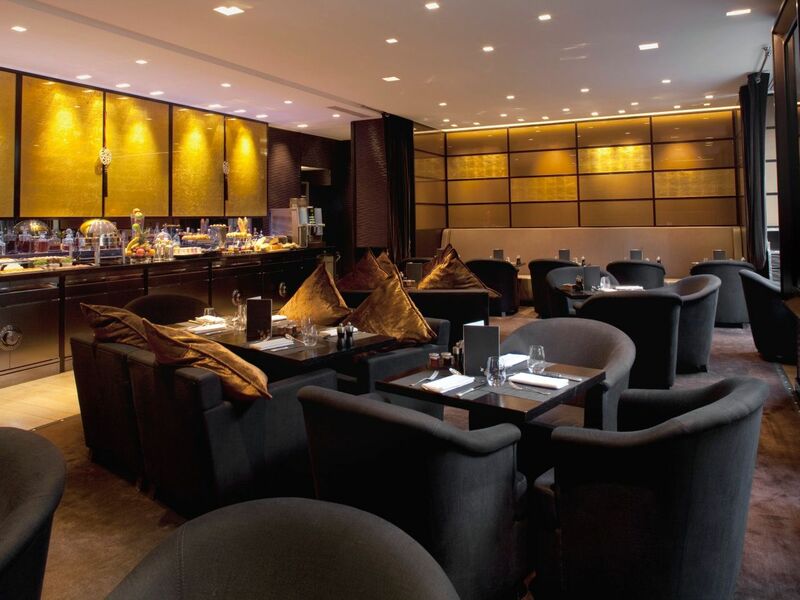 With its view of Boulevard Malesherbes, Café M is an exclusive and confidential address in Paris. Like La Chinoiserie, it has been redecorated by the famous architect Pascal Desprez and is the ideal place for breakfast, lunch or fine dining after work. 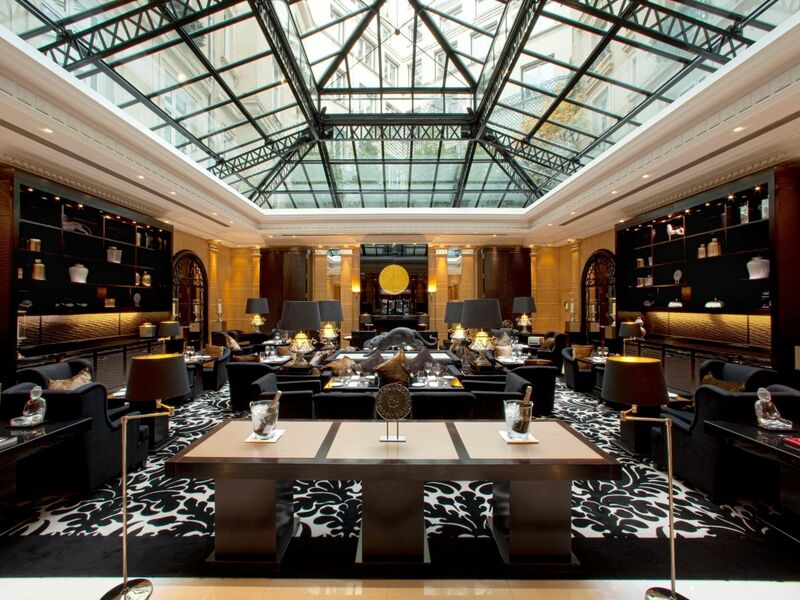 Relax in the cosy & timeless atmosphere of the Chinoiserie, with its majestic glass roof made by the Eiffel workshops. The spaced tables, discreet service and crackling fire make it the perfect place for business lunches, elegant tapas or unforgettable after works in the Opera district. Every Thursday, come join us for a Jazz night under the glass roof from 7 PM to 10 PM, except during school holidays. 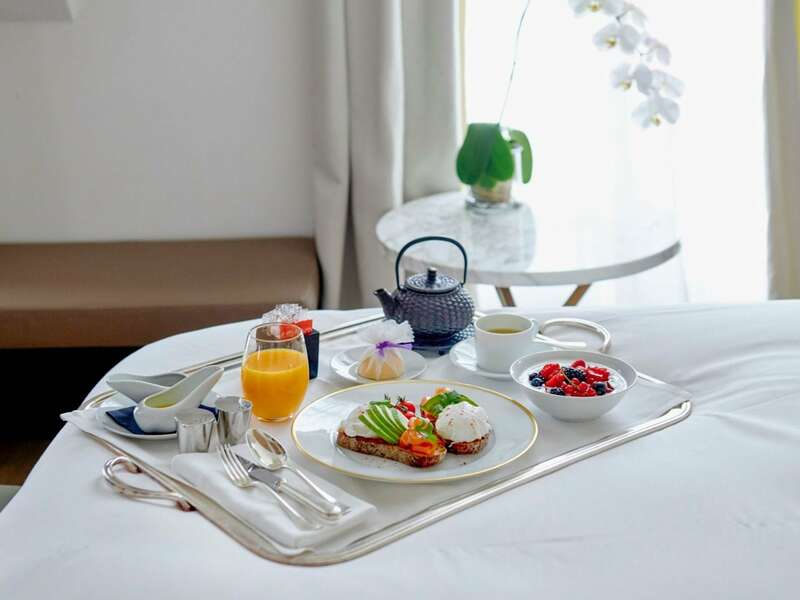 Enjoy Chef Sébastien Roux's refined food via Room Service and spend a relaxing or working evening in the privacy of your downtown Paris hotel room. 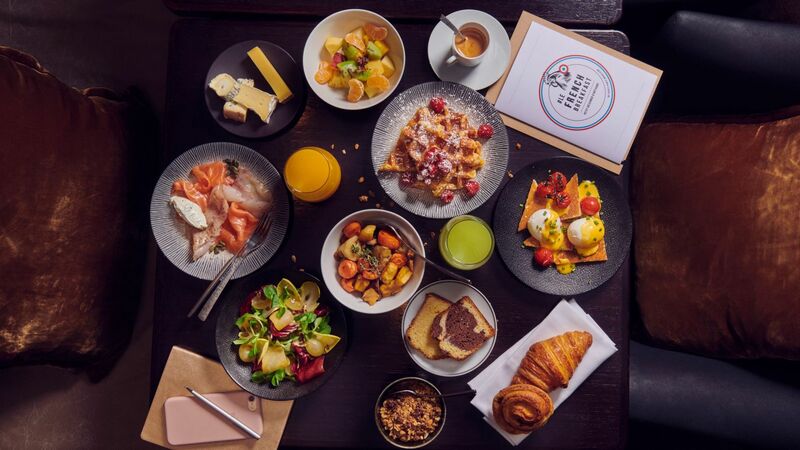 From a very early breakfast to a late evening snack after a night out with friends, our boutique hotel offers light bites and meals to meet all tastes.